The Philippines is known for its long Christmas celebration, and as soon as the holiday season begins, the city seems to go brighter on cue with all the different light decorations on the street. 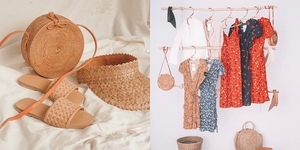 Aside from these, numerous attractions reflecting the Filipino's holiday culture are opened starting November, so it's pretty impossible to not feel the festive spirit wherever you go! 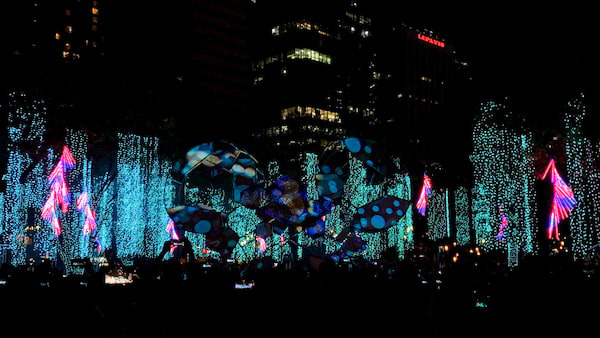 The annual lights and sounds show in Ayala Triangle Gardens has finally opened to the public, and this year, it's with the theme "Reimagine the Magic: A Festival of Lights". For its 10th year, Ayala Land partnered up with The Walt Disney Company Philippines to give the audience of all ages a spectacle of lights dancing and twinkling along to their favorite Disney songs, including "Beauty and the Beast", "I See the Light", and "Part of Your World". For this year, SM Aura Premier's Christmas display features life-sized figures of safari animals, and a gigantic Christmas tree right at the heart of the mall which mallgoers can enjoy taking a picture with. 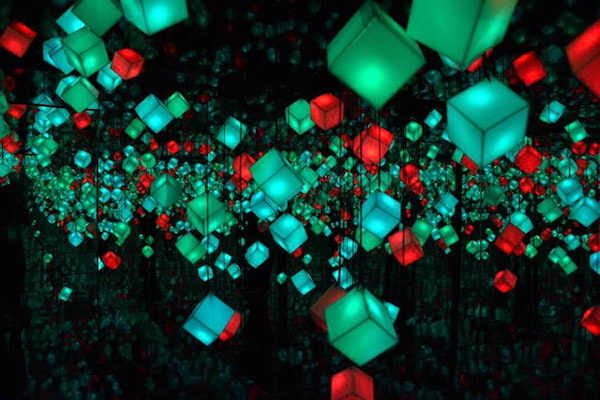 They also partnered with Huawei Mobile Philippines in putting up the immersive Prism of Lights, an immersive and interactive art display showing their interpretation of the beauty of the night sky. 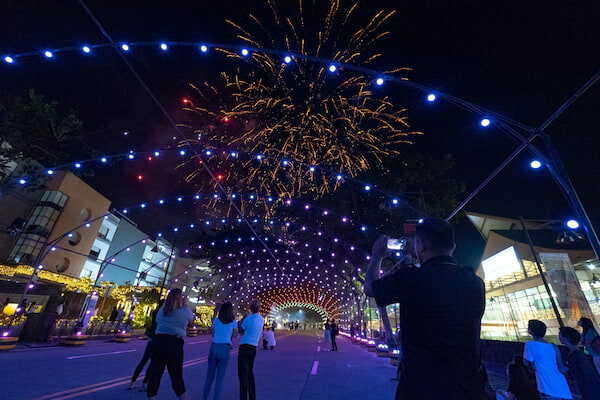 Now on its second year,the Christmas Street Light Musical Tunnel has opened again to bring the holiday spirit to the shoppers of Tiendesitas. Running every 30 minutes, more than 2000 pixels of lights along a section of Tiendesitas Shopping Center dance and twinkle in sync with the yuletide songs playing in the background. 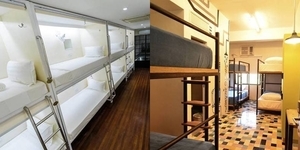 Estancia at Capital Common's Vast Imaginarium is back! This year's installation brings 4 chambers - Candy Blast, Special Dark, Sweet Rush, and Tutti Frutti - each of which have different themes that guests of all ages can surely enjoy. 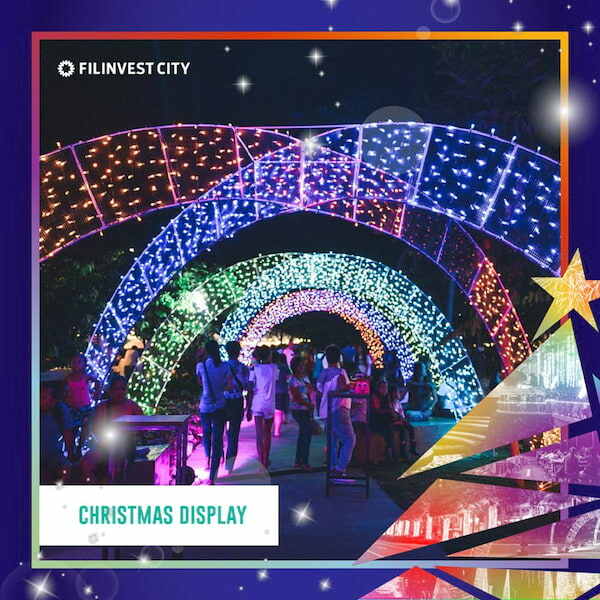 Spreading the Christmas cheer in the south is Filinvest City which aims to bring together friends and families together with the events and installations they have prepared. 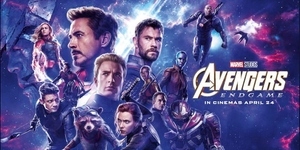 Their version of a Christmas wonderland include themed sections including a 40-foot Christmas tree, a Christmas display reminiscent of holiday wishes, a Christmas train that will bring anyone back to their childhood, as well as a hot air balloon that would surely excite anyone. Eastwood City's Holiday attraction is composed of larger-than-life replicas of animals, sea creatures, and reimagined versions of famous skyscrapers. 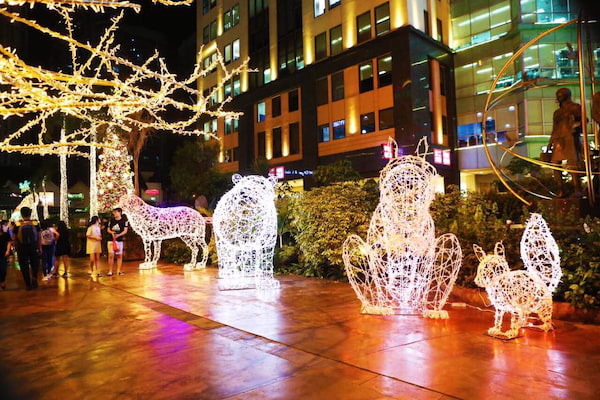 The Enchanted Forest of Lights features 60 lighted displays located along the Eastwood CItywalk, Eastood Avenue, and Eastwood Mall Open Park. Formerly known as Manila COD, Araneta Center's Christmas on Display is back to delight children and adults alike with a Christmas story told through an animatronics display. This year's story will follow a family who returns to the country to visit their loved ones, and realizes that there's still no place like home. The public can watch the COD for free, and while enjoying a meal at the Times Square FOod Park. 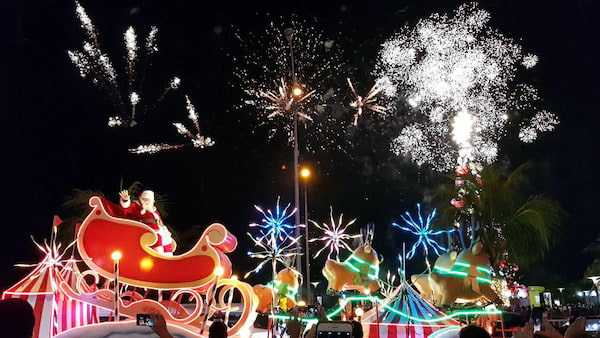 Santa and his magical friends will be bringing in the Christmas cheer to SM Mall of Asia with the biggest and brightest lights parade with over a hundred Christmas characters and floats moving along to the music of the holidays.